Senegal is fairly flat, and is drained by several large rivers, including the Gambia and the Senegal. Its geological structure is a sedimentary basin of sandstones covered by more recent wind and water deposited sediments, and intermittent plateaus capped with lateritic hard pan. 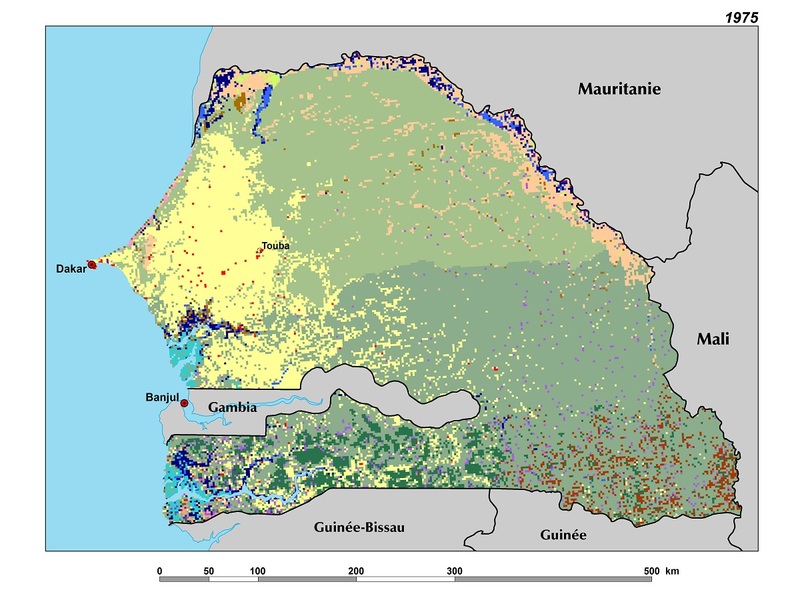 The ecoregion map depicts Senegal’s landscape diversity. The pastoral semiarid regions in the north are typical of the Sahel climatic zone. The wetter southern areas are part of the Sudanian climatic zone. 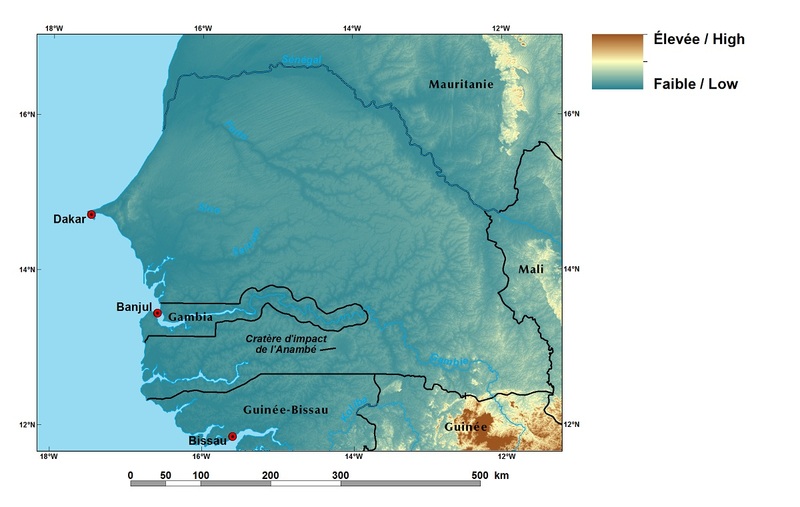 Other regions, such as the Zone Agricole du Centre-Ouest (ZACO – West- Central Agricultural Zone), also known as the Peanut Basin, or the Zone Agricole du Saloum (ZAS – Saloum Agricultural Zone), are densely settled areas characterized by high rural population density which has completely transformed the original wooded savannas. The ecoregions in the east and southwest (ZOT – Zone Orientale de Transition and ZS – Zone du Socle), dominated by lateritic plateaus, have been spared from much of the agricultural expansion in the west, but are being subjected to extensive exploitation of their forest resources. In the south, the Casamance Region is well known for its woodlands, gallery forests, palm-fringed wetlands and valleys, and rice paddies.